Consumer organisations and e-commerce organisations alike fear that a general European contract would clash with local legislation and could create confusion. The European Commission has made a new proposal in its intent to create one single online market in Europe – the Digital Single Market – and to simplify cross-border transactions for consumers as well as SMEs. Subject matter here is the Common European Sales Law (CESL), which aims to implement a sales contract that will be valid in all European countries. A fine resolution indeed, were it not that consumer organisations and trade organisations alike have objected to the proposal. 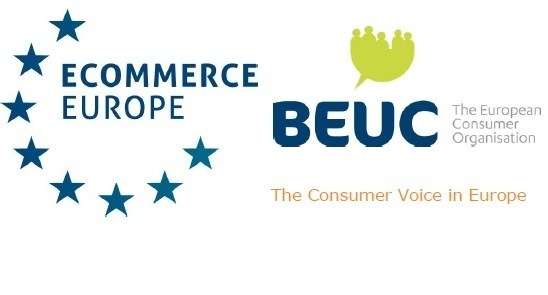 The BEUC (Bureau Européen des Consommateurs), which represents 40 national consumer organisations from all over Europe, and Ecommerce Europe, which represents over 4,000 companies that sell products and services online to consumers throughout Europe, fear that the CESL will exist in parallel with a country’s own national legislation. Both consumers and merchants would then face contradictory rules. Concretely, a consumer should e.g. need to know what the rules are in his own country, what those of the CESL are, and then decide for each transaction what is the best base on which to buy something. The same would apply to merchants. An intermediate solution coming from the rapporteur of the European Parliament Legal Affairs Committee, to limit the application of the proposed CESL to online transactions, would only lead to more confusion, so it is feared. Besides potential contradictions between local and EU law, there would also be an extra distinction between online and offline (cross-border) contracts. The Digital Single Market would profit more from measures that clear away several other barriers, like e.g. differences in tax rates, the administrative hurdles that hamper access to national markets for small companies, a weak broadband penetration, territorial limitations of laws on intellectual property, a lack of efficient recourse procedures for consumers and problems related to the use of e-payment systems.